Thinking about income taxes is different this year because of the new tax laws. For some people, tax time will be easier and less costly. They will get a $12,000 standard deduction for an individual return or a $24,000 standard deduction on a joint return. 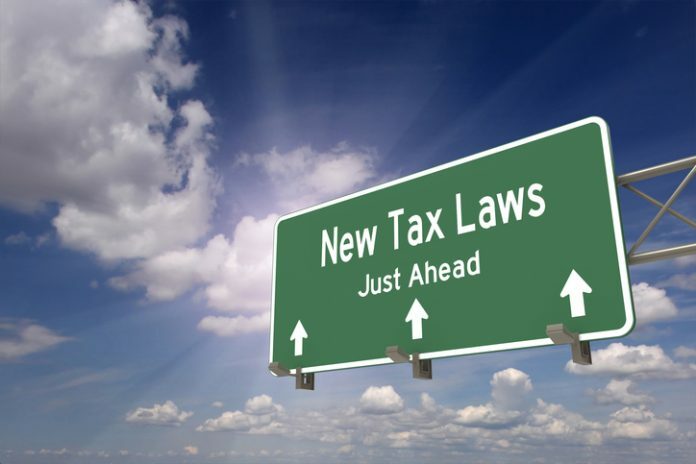 If their charitable contributions and state income taxes and property taxes are low, they can simply take the standard deduction and save time and accountant’s fees next April by not itemizing. But many people will need to do some year-end calculations revolving around lost deductions and the need to keep careful records for those deductions that remain. You are limited to a $10,000 deduction for combined state income taxes and property taxes this year, whether filing a single or joint return. Those living in states with high income and property taxes may lose a significant portion of their prior year’s tax deductions. You will only want to itemize if the sum of medical expenses (which are deductible only in excess of 7.5 percent of your adjusted gross income), charitable contributions, mortgage interest and state and local taxes (up to $10,000) exceed your standard deduction. Large middle-income families may be big losers under the new tax bill. No longer will they get the personal exemption (most recently $4,050) for themselves and each of their children. Instead, on a joint return they’ll be limited to that $24,000 standard deduction. No longer will the tax code create an incentive for having more children, but there will be higher child tax credits for 2018, which may offset some of the deduction loss. Another lost deduction: interest on home equity loans taken out in 2018 (but not on those taken out in prior years) unless it was used to improve the property (and only in principal amounts up to $750,000). If you used the proceeds of the 2018 loan to pay down credit card debt or take a vacation, that interest is no longer a deduction. Similarly, moving expenses for a job-related transfer, investment advisory fees, investment-related fees, IRA account fees, tax preparation fees and a few others that were once a deduction if they exceeded 2 percent of your adjusted gross income, will disappear as deductons for 2018. Bottom line: There are fewer places to “hide” from the tax collector these days beyond the standard deduction. Still, it’s worth taking a look at some year-end tax strategies that are still available. –Reduce your income. If you qualify for a bonus, but are near the top of your current tax bracket, see if you can receive it next year. Or consider an extra year-end contribution to your 40l(k) plan if you haven’t maxed it out. That contribution will reduce your income and maybe put you in a lower bracket, while letting more money grow for your retirement. Similarly, self-employed people can create an individual 40l(k) plan for self-employment income and contribute a significant amount of money before year-end to reduce income. –Manage your contributions. You may want to bunch your charitable contributions in one year, making it worthwhile to itemize in the year you have excess deductions. A special deal exists for retirees taking required minimum distributions (RMDs) from their IRA accounts. If the trustee of the account follows your instructions to make a direct contribution to a recognized charity, your income from the distribution will be reduced by that amount, lowering your tax liability. –Give to family. It’s not a deduction, but every year each person can give away $15,000 to anyone. It’s a great way for grandparents to distribute wealth to a younger generation. It is not a tax deduction, but the money does pass tax-free to the recipient, and reduces the value of the giver’s estate in case of future estate tax liability. Leverage this gift by putting it into a 529 college savings account where the money will grow tax-free for college expenses.